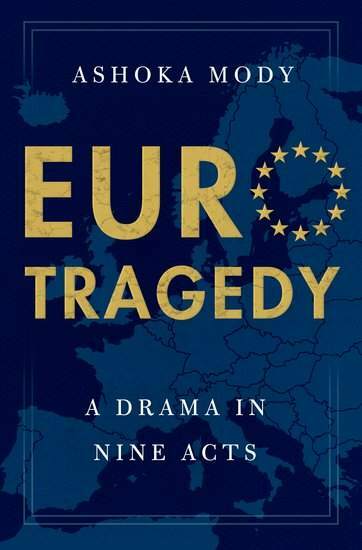 Ashoka Mody, a former IMF economist, and visiting professor at Princeton, tells the tragic tale of how all the political intent in the aftermath of the second world war was ultimately squandered on a project requiring “too much Europe”. The object of his wrath is the single currency, the euro, without which, he maintains, the European Community would be a much more successful club. For him, the clearest successes of the European project have been the European Defence Community Treaty of 1952 and the Treaty of Rome, signed in 1957. That was before a handful of European leaders seized on the idea of a single currency, without understanding its full implications. They ignored the warnings of experts they consulted, such as the Werner Committee, which cautioned in a 1970 report that a big central budget and cross-border mobility of workers would be needed to make monetary union work. In 1989, the Federation of German Industries (BDI) warned that a single currency would deprive weaker regions of the option of exchange rate adjustment. German chancellors Willi Brandt and even Helmut Kohl – for a while – were wary of the implications of a single currency. But the teamwork between French and German leaders, Valery Giscard d’Estaing and Helmut Schmidt, Francois Mitterrand and Helmut Kohl (after German unification), ultimately swept aside the rational economic objections to forcing one currency on eleven or more very different sovereign states. Each time objections were raised, fixes were offered, such as the Maastricht criteria, specifying limits on government debt and budget deficits, or the Stability & Growth Pact, which was cleverly designed by eurocrats to mean different things to the French and Germans. Even the “non” vote by the French people in 1992 didn’t stop the express train. The launch of the euro on January 4th 1999 was a success, in that the euro did not plummet in value. Although it had a bumpy ride it was roughly the same rate against the dollar three years later, despite turbulent world and market events. But the apparent stability covered a multitude of sins. The supposedly independent European Central Bank (ECB) was more or less modelled on the German central bank, the Bundesbank, bent on tight monetary policy to suit the biggest countries of the euro-zone economy. Under its first two presidents, Wim Duisenberg and Jean-Claude Trichet, it maintained that policy despite a German economic slump in the early 2000s and the financial crisis of 2007-10. It was only when the more pragmatic Mario Draghi took the helm in 2011 that monetary loosening began to properly address the euro zone’s plight. Mr Draghi’s famous promise in July 2012 to “do whatever it takes to preserve the euro” – including his “big bazooka”, Outright Monetary Transactions (OMT) – put a stop, at least temporarily, to years of speculation that there was not enough political will to save the euro through thick and thin. So far, there has been. The clever game played by Mr Draghi at the ECB somewhat alleviated the Germanic effect, but the tension is there at every meeting of the ECB Council, between Mr Draghi and German Bundesbank president Jens Weidmann. And next year Mr Draghi may be replaced by someone less accommodating and pragmatic, perhaps Mr Weidmann himself. Mr Mody sees a bleak future for the euro zone and the euro as it exists today. He paints two possible scenarios. The first is called “More of the same” and culminates in the need to bail out Italy which is sinking under a mountain of debt, unable to raise productivity. Even Mr Draghi’s Outright Market Transactions to buy endless Italian government bonds don’t work anymore. 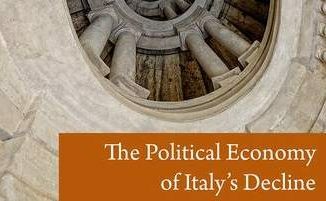 For Italy to leave the euro at that stage would be a disaster, especially for Italy itself, which would have to repay its euro debts with a devalued lira. But perversely, suggests Mr Mody, the result would be different if Germany left the euro. Its new Deutsche Mark would probably appreciate against the euro, challenging its export performance, something it is used to handling. Other northern euro-zone members might like to join Germany while the exports of weaker euro countries would reap the benefits of a weaker euro. This is a nice idea, but I suspect it would be fraught with legal challenges, frustrating any gains in economic performance. Mr Mody’s second scenario he calls “A Republic of Letters for Europe: A Modern Agora”. The trigger, he fantasises, is a speech by German chancellor Angela Merkel – “Merkel’s Exit Monologue” – in which she outlines how and why the euro zone must change. First, Greek debt must be forgiven, second, the fiscal rules curbing euro states’ ability to reflate must be loosened. After five years of this any further bond issues by euro states would be without sovereign guarantee – in other words investors’ principal and interest would be visibly at risk. This loosening of the straitjacket around the euro would be accompanied by a new aspiration – to make Europe a centre of education and invention with no internal barriers – a modern marketplace of ideas. As the product of romantics.